Join the Illinois Chapter of the Lincoln Highway Association and the national organization with over one thousand members! Go here for a form to print off and toss in the mail! Memberships start at $45 a year, and include four issues of the Lincoln Highway Forum journal and four issues a year of the Land of Lincoln News, the newsletter of the Illinois Lincoln Highway Association. Contribute any information, artifacts, old post cards, photos, or just good stories that are related to the Lincoln Highway in Illinois. Please indicate if you would like those considered for this web site, the Illinois Chapter newsletter, or both. Please, DO NOT SEND ORIGINALS because they cannot be returned. Please send good quality copies. Would Illinois Name a Road for You, Too? The man in the picture is William G. Edens. He served as the President of the Illinois Highway Improvement Association and the Chicago Consul for the Illinois Lincoln Highway Association. He worked as a banker in Chicago at the Central Trust Company. Before that, he worked for the railroads and President McKinley appointed him as the Assistant General Superintendent of the Post Office. 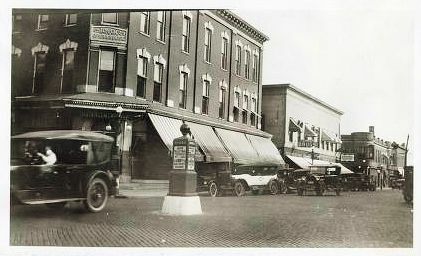 The knowledge that Mr. Edens had about the Lincoln Highway, the importance of roads, banking procedures, and how to talk to local citizens effectively came together and he led the effort to get voters in Illinois to approve a $60,000,000 bond for road building throughout the state in 1916. Anyone in the Chicago area is probably familiar with the Edens Expressway, which bears his name. Mr. Edens never owned or even drove a car! It’s Time to Bring Back the Consuls for Illinois! The Board recently approved of bringing back the Consuls for Illinois, based on the original Lincoln Highway Association. 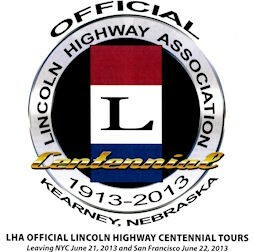 Only the present-day Lincoln Highway Association can trace its heritage back to the original group of entrepreneurs, car manufacturers, car enthusiasts, generous supporters, generous local supporters, and public officials who all gave their time, efforts, dedication, and sense of pride in the United States to make Carl Fisher’s dream of the creation of the first coast-to-coast highway a reality. As part of that original group of leaders, local consuls came from all across the areas the Lincoln Highway passed through, with each county having more than one, plus one from Chicago, like Edens. Today, the volunteer job will be a lot easier than trying to convince Illinois taxpayers to spend $60,000,000 for road improvements!!! Those willing to volunteer as a Consul could attend local events such as parades and car shows, be local contacts for events like the BuyWay Yard Sale so people with questions do not have to make long-distance phone calls, and participate in any other way based upon their own skills, backgrounds, and interests. We especially need volunteers on the eastern side. The Prelinger Archives also provided a digital copy of the 1935 book The Lincoln Highway : The Story of a Crusade That Made Transportation History.